His Excellency Benigno Simeon C. Aquino III is the Keynote Speaker at the Opening Program of this year’s National Tuna Congress here in General Santos City on September 7, 2012. Now on its 14th incarnation, the National Tuna Congress, which is timed during the annual celebration of the Tuna Festival (in commemoration of the city charterhood anniversary) is the largest annual gathering of tuna industry players in the country. It will be President Aquino’s first appearance at the Tuna Congress which for this year has adapted the theme, “Opening New Grounds and Strengthening Commitments: A Resilient Tuna Industry“. 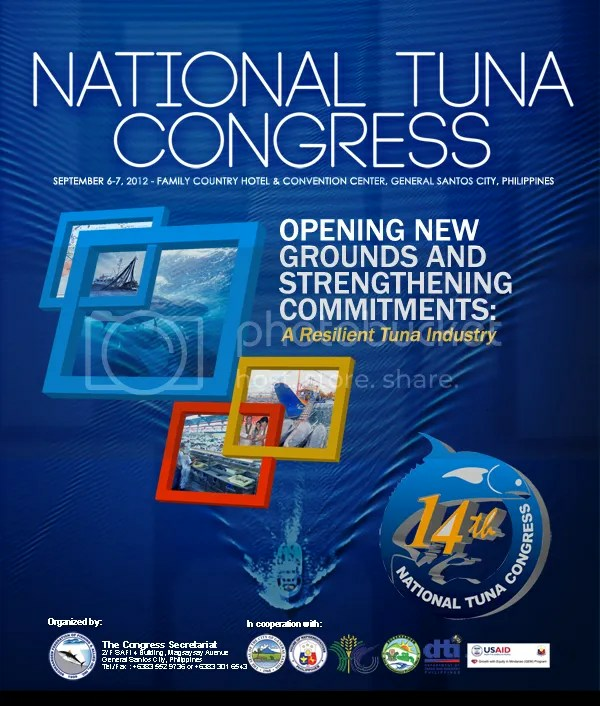 More than 400 delegates from all over the country and elsewhere are expected to join this 14th National Tuna Congress . There will also be a simultaneous Trade Exhibit from September 6-7, 2012 featuring 50 exhibitors of products and services needed by the fishing and allied industries at the courtyard of Family Country Hotel and Convention Center, the official congress venue. To join, you have to pay the Registration Fee of P3,500 at the SSFAII Office with telephone #s (083) 552-9736 or 301-6543. This entitles you to a Congress Kit and Materials, Lunch and 2 Snacks, plus entry to the Welcome and Farewell Dinners. You may also register online at the SFFAII official website www.sffaii.org.